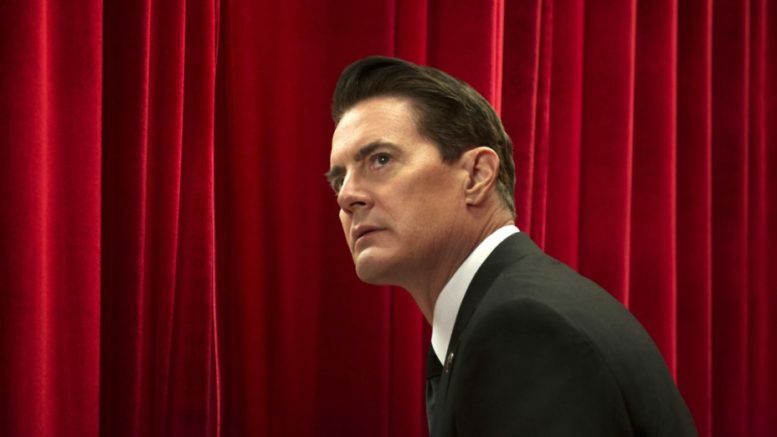 Is the new version of Twin Peaks a success or a failure? Much like the show itself, it’s hard to tell what’s real. An unusually insightful article in Buzzfeed lays out the arguments, but doesn’t get to the real heart of things. According to traditional ratings agencies, Twin Peaks: The Return is a total bomb. The latest episode drew a little under 300,000 viewers, supposedly. If that’s true, that would be incredibly embarrassing for Showtime, who spent a ton of money developing and promoting the show. The thing is, though, Showtime says 2.5 million people watched. And the funny thing is, both numbers are probably right. The question is, which number is relevant. And more importantly, the even deeper question is, can we trust the Nielsen people with ratings at all? Let’s dig deeper, and hopefully unlike Agent Cooper we’ll walk away with some answers. The television ratings system is a doddering antique and it’s hard to find anyone who would disagree. The technology for monitoring viewers is bogged down in the 20th century, and more importantly, it’s still tied to the initial airing of a show. The Nielsen people focus on the first airing of a show (not multiple airings within a short time period) and they only really care if the show is watched live or within 24 hours. They claim to monitor streaming activity but they don’t seem to ever provide data to prove that. They absolutely could modernize, but there are two really good reasons they don’t. One reason actually, but it needs to be looked at in two ways. First, the Nielsen people want to prop up broadcasters. Keep in mind that Nielsen is a business and their business model is selling ratings data. Broadcasters, specifically local broadcasters, are the only ones buying. “Basic cable” channels do too, but there are thousands of local channels and at best a few hundred “basic cable” channels. It’s the local channel owners who use Nielsen ratings to set ad rates, that’s the company’s bread and butter. For years, Nielsen has been providing those station owners with a message they like very much: everything is fine, you’re still important. The reality is that local broadcast ratings in prime time have dropped 90% in the last 35 years but station owners are carrying on like it’s still 1979. They’re being fed a diet of half-truths designed to keep them happy. If the Nielsen people really reported how people actually watch TV — they stream, they timeshift, they binge — station owners would have to face the fact that they can’t charge monstrous rates for ads. Without monstrous rates for ads, they couldn’t afford expensive transmitters. Not only that, if their true place in the world became obvious, they couldn’t demand triple-digit increases from pay-TV companies either. Nielsen has a big investment in making sure station owners stay in business and it’s pretty clear that the reason they’re not modernizing their business model is that the old way makes it look like broadcast TV is still on top and no one uses Netflix or Hulu. Second, companies like Showtime don’t need Nielsen. Sure, the Showtime people probably buy the Nielsen ratings book too, but then they don’t look at it. They rely on their own metrics to know who is watching, and they can be a lot more accurate. While Nielsen looks at a small sample, Showtime knows every single home that’s streaming and thanks to data gathered by companies like Apple and Roku, they have an idea what kind of person is watching. Netflix, Hulu, and other streaming companies don’t care about Nielsen because they get all the data they want. And the truth is, even though traditional pay-TV is great… I have to admit it. Streaming is great too. In the summer, when traditional broadcasters have no idea what to do, streaming companies are putting out really excellent product (like Twin Peaks that keeps folks entertained. Nielsen ratings have nothing to do with it. Showtime doesn’t care if you watch this week or this month or even this year. They developed the show and it’s going to be available to stream, probably forever. And it just adds to the value that Showtime subscribers are paying for. I have said before that if local broadcasters don’t begin to understand how real people really watch TV, they’re in for big trouble. I’ve also said that Nielsen is keeping them fat, dumb and happy by telling them what they want to hear. Whenever I read that Nielsen says a program is a flop, I don’t trust them. I only wish local broadcasters agreed. DIRECTV NOW coming to Smart TVs?